Tapco are a leading manufacturer of synthetic roof tiles, with their slate-effect tile widely recognised for the superb longevity that it offers. This is achieved through the use of unique materials, including a combination of recycled limestone and plastic. These materials offer incredible strength whilst remaining lightweight, with these plastic roof tiles weighing only 0.7kg each. To maintain their classic slate colouring, Tapco tiles utilise ‘stay-True’ technology. This combats the negative impact of UV, preventing any fading throughout their 40 year lifespan. 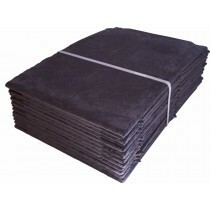 This allows Tapco tiles to withstand various temperatures without any visible cracking or discoloration. The 40 year BBA guarantee also provides you with confidence in your choice of roofing material. With them being suitable on pitches as low as 14.5 degrees, Tapco roof tiles are ideal for virtually any roofing project. This includes large homes, small garden buildings and more. Wherever Tapco roofing products are used, they're guaranteed to provide a gorgeous auesthetic and maximum longevity. Buying roofing materials can be daunting, especially when ordering them online. With over 40 years of experience in roofing, however, we get asked lots of questiond about our range of Tapco roofing products. Here are some of the most common questions with answers for each! 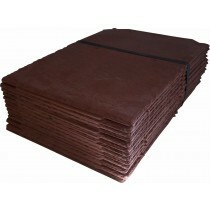 What Are Tapco Roof Tiles Made From? These roof tiles are crafted from a combination of recycled limestone and polypropylene. 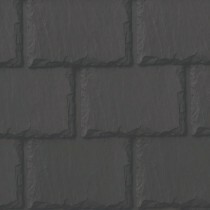 This plastic build provides you with an incredibly lightweight slate alternative, with it weighing only 0.7kg per tile. This plastic build also virtually eliminates the chances of this roof tile cracking and chipping, helping to reduce maintenance cost. How Much Do These Roof Tiles Weigh? 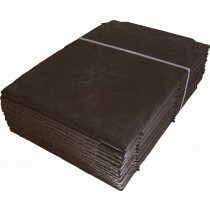 Tapco roof tiles weigh approximately 14kg per square meter, although this is dependent upon your pitch. These are therefore considerably lighter than traditional slate tiles, which can weigh as much as 32kg per square meter. This reduces the strain placed on your structure and allows you to use these plastic roof tiles on virtually any project. What is the Life Expectancy of Tapco Roof Tiles? These roof tiles provide a life expectancy in excess of 40 years. 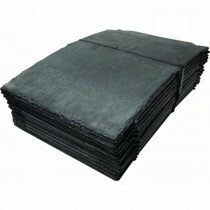 Tapco are so confident in the longevity and durable of their roof tiles that they also provide a 40 year BBA guarantee. 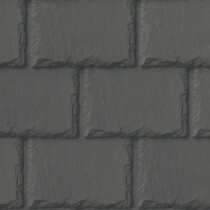 Whilst traditional slate tiles offer a similar life expectancy, they often withstand cracks and chips. Tapco tiles will not experience such damage due to their plastic build. Will These Roof Tiles Fade? Tapco roof tiles utilise start of the art “stay-True” technology. This provides incredible UV stabilisation properties and therefore prevents them from fading. 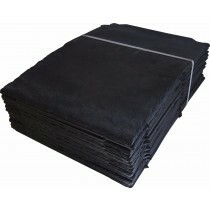 They therefore maintain the gorgeous appearance of natural slates throughout their lifespan. What is the Minimum Pitch for Tapco Roof Tiles? 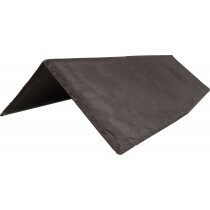 These roof tiles can be used on pitches between 14.5 degrees and 90 degrees. The number of tiles required per square meter can vary, with an increased overlap being required on low pitched roofs. If you have more questions about our Tapco roofing products, speak to our team online or by telephone. With over 40 years of experience in roofing, we'll help answer your questions and will ensure you have everything you'll need to complete your roofing project.